Art direct, design and write a two part campaign to help a local Photography Studio build it's Senior Portrait Business for the upcoming year. The first mailing was used to attract students who were graduating the following year to volunteer to become 'senior models'. A set of criteria was used to survey, interview and qualify candidates (personality, extra curricular involvement, etc.) 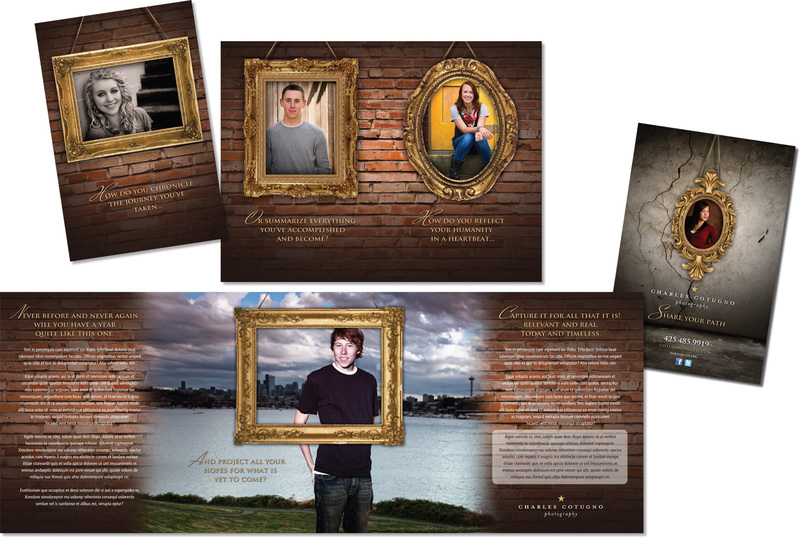 For a free studio session, and discounted photo packages, the photographer was able to use the resulting images to build the second mailing in the campaign. 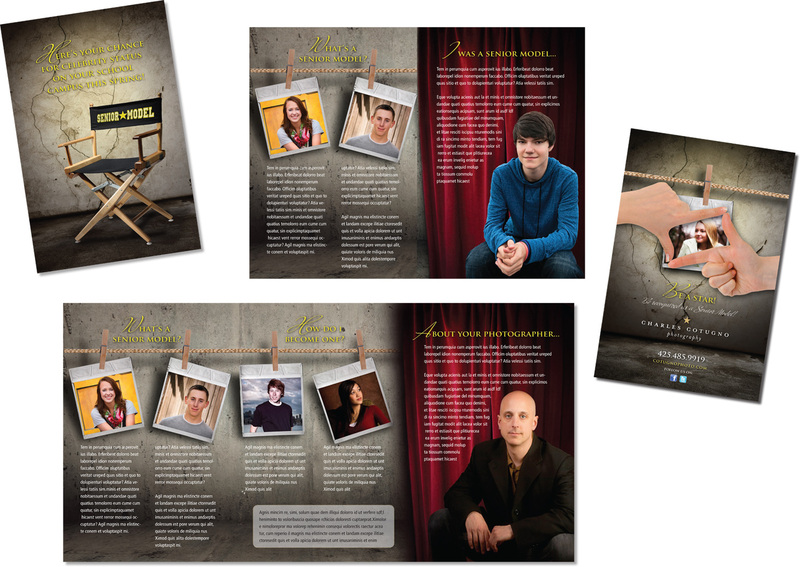 The second mailing went to schools where the senior models would be recognized among their peer groups. The goal of the campaign was to have other seniors want to use the services of the photo studio, based on the excellent results their friends experienced. First Mailing: Solicit Potential Senior Models. 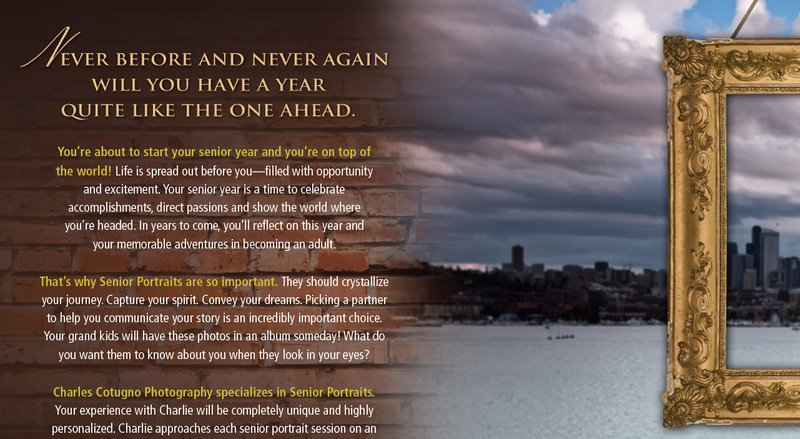 Second Mailing: Solicit potential senior portrait candidates using the photos generated from Mailing #1.